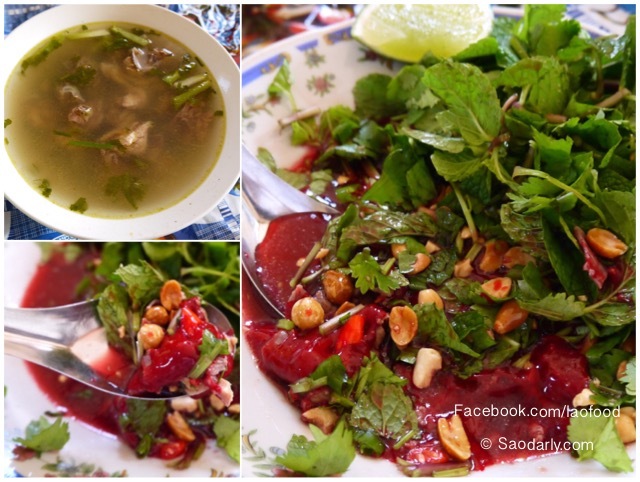 Duck soup (Tom Ped ຕົ້ມເປັດ) and Duck Blood Salad (Larb Leud Ped ລາບເລືອດເປັດ, Leud Paeng Ped ເລືອດແປງເປັດ) at a relative’s farm in the outer skirt of Vientiane Capital, Laos. This family grows herbs and vegetables organically and have free range organic chickens and ducks. 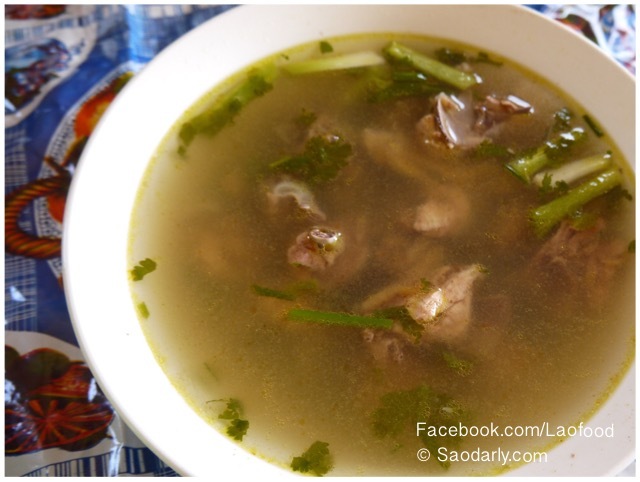 The husband likes to make duck soup and duck blood salad (Larb Leud Ped) during the weekend and he made a batch for himself and to share with other relatives today. I only tried one spoon to be polite. 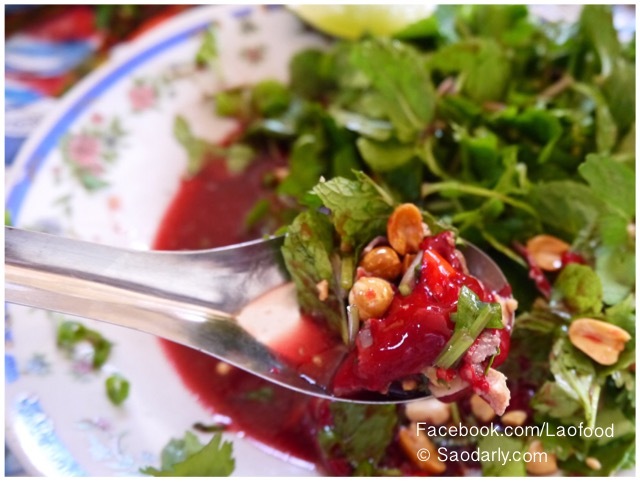 This was my fourth time tasting the Larb Leud Ped so far in this life time. The first time was in Vientiane at my cousin’s house, the second time was in Luang Prabang, and the third time was last year at another relative’s house. I’m not a fan of this exotic dish. 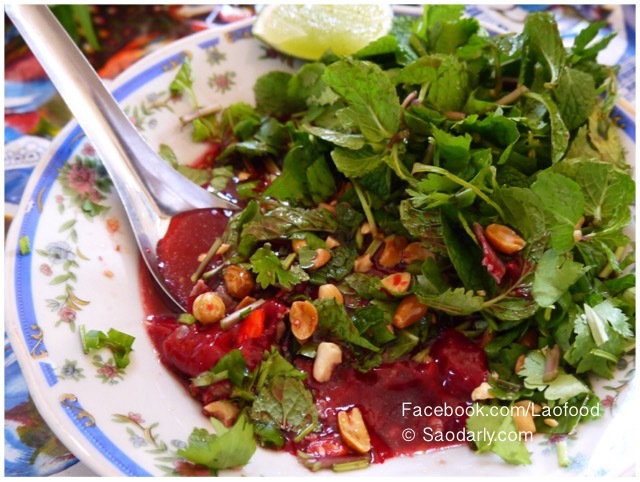 It’s quite a scary thing for me to try Duck Blood Salad. I can only taste a spoon full at relative’s house since I can see the food is hygienically prepared and using free range organic duck.